Since it was the Bank Holiday, this week’s Anime Review Roundup hits a day late. That’s my excuse and I’m sticking with it. I’m continuing to ease my way out of that anime slump, and Snow White with the Red Hair Part 1 certainly helps. It’s a conventional anime love story, unconventional for anime, but conventional for everyone else in that it’s a simple tale of a girl and a boy falling in love; no fan service, no harem. It takes its cue from the Snow White fairy tale, but it goes in a complete different direction, with a strikingly attractive herbalist driven from her home by the lascivious attentions of a prince, only to find refuge in a neighbouring nation thanks to another, more charming prince. To repay her debt of gratitude, she trains to work as a herbalist in the royal court, but court politics means a lot of people frown on a prince consorting with a commoner. Click on the review to read more. The long weekend means that I can also link to the review of Little Busters Season 1, a late review posting. It’s an adaptation of a Key/Visual videogame, from the people behind Kanon and Clannad. That’s the game makers, not the anime makers, as production for this show comes from JC Staff, not KyoAni. That has an effect on the quality, but you’ll have to click on the review to see if the story is up to the usual standards. This time, a close knit group of friends gathered around protagonist Riki Naoe when his parents died. Now years later, as they approach graduation at high school, Riki wants to recapture that feeling of friendship from childhood that rescued him. The plan is to create a baseball team, but the Little Busters need four more players to complete the team. The girls that Riki winds up recruiting all have issues that need resolving, and Riki wants to help. Next up I take a look at a live action movie inspired by anime. Not Ghost in the Shell, but Guillermo del Toro’s ode to the anime of his youth, Pacific Rim. It’s a movie about giant robots fighting giant monsters. Frankly I just had to watch it or turn in my anime membership card. It’s fun most certainly, but is it anything more than that? Click on the review to find out. If that doesn’t float your boat, there’s some classic kung-fu action in Jackie Chan’s Drunken Master, which makes its UK Blu-ray debut this month, also reviewed. The Wings of Honneamise. And with this perennial revisit to one of my favourite films of all, I am totally de-slumped. This was Studio Gainax’ debut feature, and arguably they’ve yet to recapture that glory. It’s a space race set in a fantasy world, allegorical to the real space race of the 1960s, with the pride of two superpowers at stake. It touches on politics and societal concerns, but it also has a strong spiritual core, with commentary about the decadence of society, and the aspiration for something pure, equating the desire to touch the stars with the need to commune with the divine. Thoughtful and measured storytelling like this doesn’t come very often, while the production design of The Wings of Honneamise is still after all these years, one of the most inventive and original in anime. 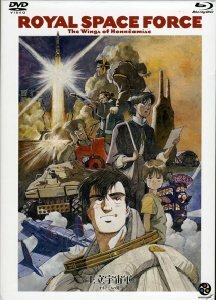 Manga Video originally released The Wings of Honneamise in the UK on dubbed, and on subtitled VHS, but it only saw a DVD release in the US. It was subsequently rescued by Bandai Visual and given a lavish and expensive Blu-ray/DVD (as well as HD-DVD/DVD) combo release on their then new Honneamise label. It’s one of the earliest Blu-rays from 2007. I eventually got around to reviewing that after briefly making do with the Australian DVD. But UK fans no longer have to despair, as All the Anime remedied the film’s absence here by finally giving it a UK Blu-ray release in 2015, and Stuart McLean took a look at that as well. 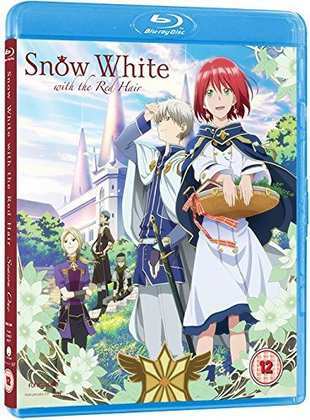 Funimation released Snow White with the Red Hair Part 1 on Blu-ray on March 27th. 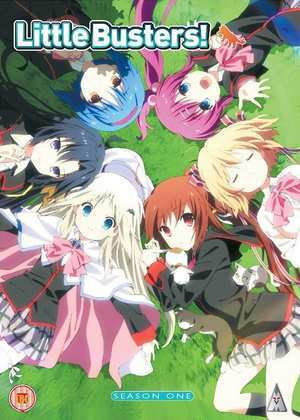 MVM released Little Busters Season 1 on Blu-ray and DVD yesterday, April 17th. 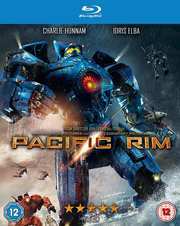 Warner Brothers released Pacific Rim on Blu-ray and DVD back in 2013. Eureka Entertainment release Drunken Master as a BD/DVD combo next Monday 24th April.